Diggers. Cranes. Scaffolding. Workers. Five play scenes of fuzzy pictures to build! 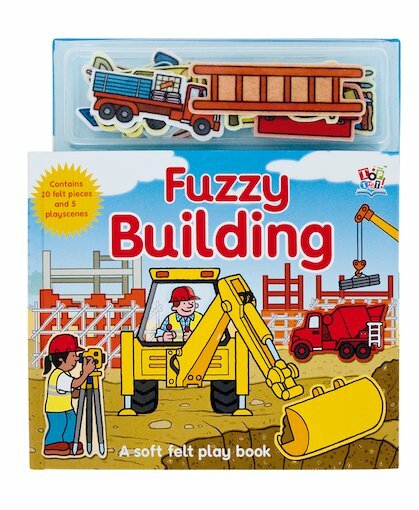 Encouraging youngsters to get creative as they construct their very own construction site scenes, this fantastic book is packed with exciting pictures to complete with fuzzy shapes. Just open the pages and stick down the felt pieces to bring the scenes alive! 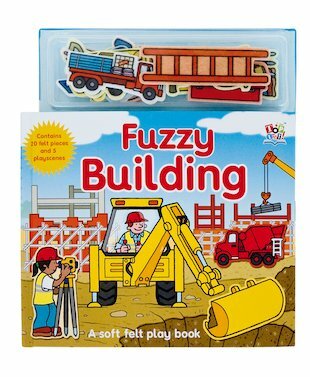 Contents: 10-page board book telling a simple story, five fuzzy play scenes and twenty reusable felt pieces.